Steve Sievers is a Certified Public Accountant and wealth advisor for individuals and small business owners. Steve is a 1984 graduate of Auburn University with a Bachelor’s Degree in Accounting and Finance. 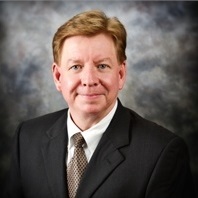 In 1991 he formed Sievers & Company, PC, a certified public accounting firm where he provides accounting and tax services for small businesses, individuals, estates, and trusts. In May, 2008 Steve joined ProEquities as an Investment Advisor Representative providing wealth management services. Steve was raised in the Montgomery area and is married to the former Cynthia Lane McNeese of Montgomery, Alabama who is a Registered Nurse with the Montgomery County Public School System. They have been married 34 years and have two grown children, Chase and Christy and one grandchild. Steve is a member of the American Institute of CPA’s, the Alabama Society of CPA’s, and is a 29-year member of the Wetumpka Rotary Club. Steve and his wife attend Harvest Family Church in Montgomery.